This entry was posted on April 13, 2018 by admin. At Dermacia, we are a lover of treatments and products rich in vitamins and minerals, not only because they feel luxurious and deliver excellent results, but also because they are so good for the skin, making it instantly look brighter and younger, and delivering better and better results over time. We offer the best quality vitamin rich skin care treatments, including our Murad Vitamin C Infusion Face and Hand Treatment. As an authorised stock list of Murad, we deliver the best quality treatments, using the brands fantastic products, which we swear by. Vitamin C has long been known for its benefits to the skin, and we first discovered its nourishing properties when sailors discovered it helped to cure scurvy. Vitamin C, also known as ascorbic acid, is key to the production of collagen, which keeps the skin looking young, bright, healthy and fresh. Collagen is a protein that is essential to the growth of cells and blood vessels, and gives the skin its strength and firmness. Without vitamin C, collagen in the skin can decrease, resulting in a sallow, dull and sunken look to the skin. Alongside assisting in the growth and reforming of collagen, vitamin C also helps to protect the skin from harmful free-radicals, which can cause dryness to the skin and ageing. Vitamin C works to neutralise free-radicals and also reverse DNA damage. 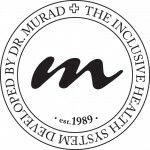 At Dermacia we swear by Murad, and have been offering their treatments and products for a long time now, with many of our clients returning again and again specifically for Murad treatments. America's first authentic doctor developed brand, Murad might seem like a beauty brand, but it remains true to the scientific principles of its founder, world renowned dermatologist Howard Murad. Guaranteeing transformation through products and treatments, Murad combines advanced scientific research and practical clinical experience to create their products. The result is high performance skincare, dietary supplements and treatments that help our clients look and feel their best, with their skin looking better than ever before. At Dermacia, one of our favourite Murad treatments is the Vitamin C Infusion Face and Hand Treatment, which we offer in our Islington clinic.  The one hour treatment works specifically to reduce environmental damage to the skin, reducing the ageing caused to the skin by the harmful free-radicals in the environment. The result is fresh, younger looking skin, that is noticeably plumper, due to the collagen boosting properties of vitamin C. Our clients are big fans of this treatment, with many returning every month to receive this beauty boosting hand and facial treatment.